© Trailblazers-pro - UK: +44 (0)7887 404909 Spain: +34 951230259 Competa is a “pueblo blanco” or white village in the heart af Axarquia a small area in the province of Malaga. It is a charming village with approximately 4,000 residents and many more living in the surrounding countryside known as the “campo”. Trailblazers decided to move to this area and set up their base as the area is blessed with striking beauty and unspoilt mountail tracks and trails. It is the perfect location to ride a off road motorcycle. Graham Ross the owner of Trailblazers-pro saw the potential here so he used his skills to venture out on the untouched surrounding areas, marking out tours and tails that will suit any level of off roader. Over the years he has built up a built in map in his head and knows the area inside out. The base in near the neighbouring village of Canillas de Albaida and this is proving a wise move as the main hotel where the riders stay is the Posada La Plaza Hotel in Canillas de Albaida. There are plenty of bars, restaurants, cafes in Competa and Canillas de Albaida. 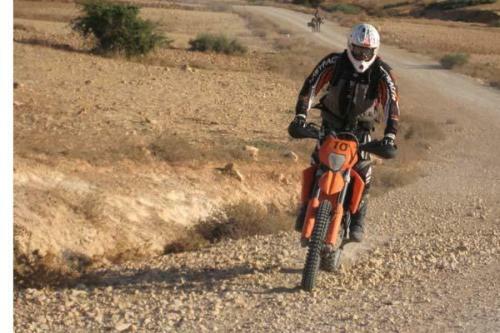 The perfect location to escape the hustle and bustle of the coast, where all you want to do is ride and ride off road!